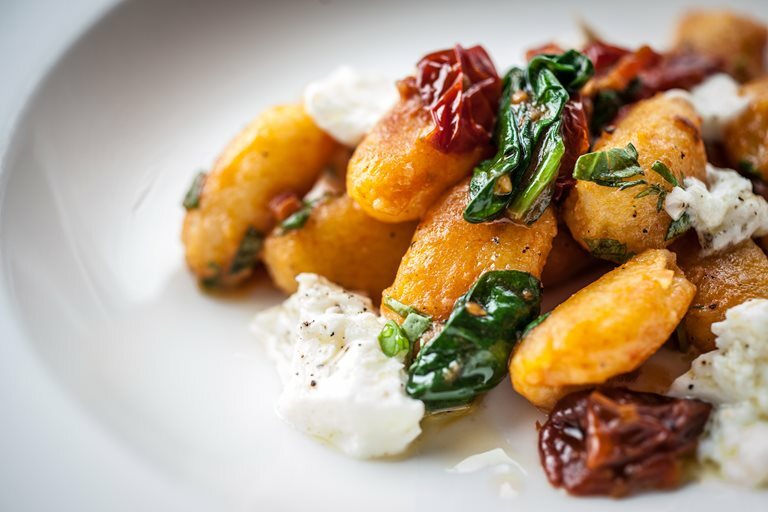 Russell Brown's sumptuous gnocchi with tomato sauce recipe offers sunshine on a plate, serving classic Italian flavours of mozzarella, basil and tomato for an exquisitely summery dish. If cooking for a special occasion, make the sauce the day before serving and dry out the excess tomato skins from step 4 in a 90°C oven overnight - this will add an intensely flavoured garnish to add an extra touch of glamour to the dish. Russell Brown has achieved Michelin stardom on his own terms, impressing inspectors with his honest, unfussy creations and sound approach to restaurant management.